Intex has launched two models of Gaming Mouse – ‘Mouse GM Drive Gaming Optical and Mouse GM Drive Rapid Gaming Optical’ for 450 and Rs 799, respectively. Foraying into the computer gaming mouse segment, Intex has launched two feature rich, classy models of gaming mouse: ‘Mouse GM Drive Gaming Optical' and 'Mouse GM Drive Rapid Gaming Optical' for Rs 450 and Rs 799, respectively. 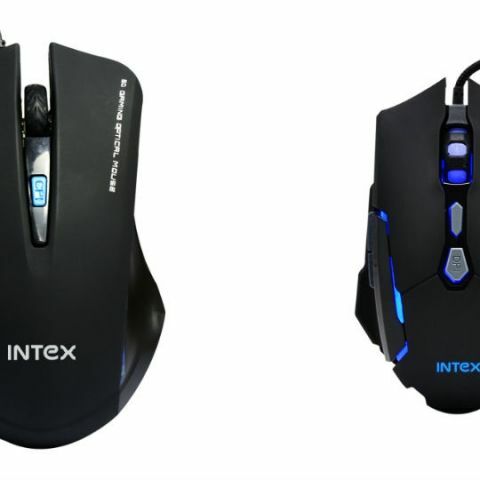 With the addition of gaming mouse, Intex has increased its IT Product range to 10 categories. Which is the best gaming mouse under 1500 INR?